I wrote this column on the toilet. I’d finished my business minutes earlier but was on a writing roll and didn’t want to stop typing to pull up my pants. Sherry Turkle is an MIT professor who has been researching the psychology of online connectivity for the past 30 years. In a recent New York Times piece, Turkle references a study that discovered a surprising number of people would rather give themselves electric shocks than sit alone with their thoughts. Turkle is interested in how our extreme attachment to constant digital connectivity is diminishing our capacity for self-reflection. Cue fleeting moment of self-reflection: I don’t think I’m escaping my thoughts so much as optimizing my time when I text and tinkle. But I catch myself wondering, when I respond to a toilet break by reaching reflexively for device, what becomes of my relationship with my physical self? 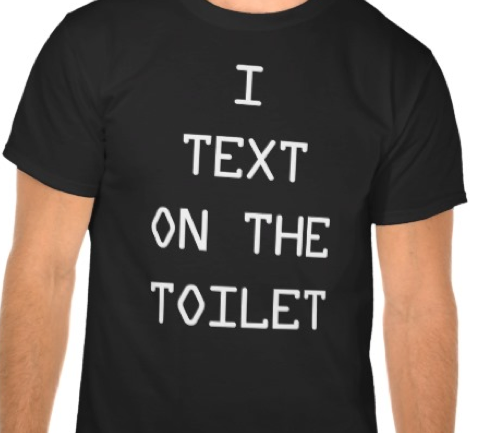 Bluntly: if you’re always checking your emails when you poo, when are you ever checking in with your body? I mean, doctors can diagnose the state of your health with just a glimpse at your excreta. The body is always telling tales. Trauma experts have discovered this. 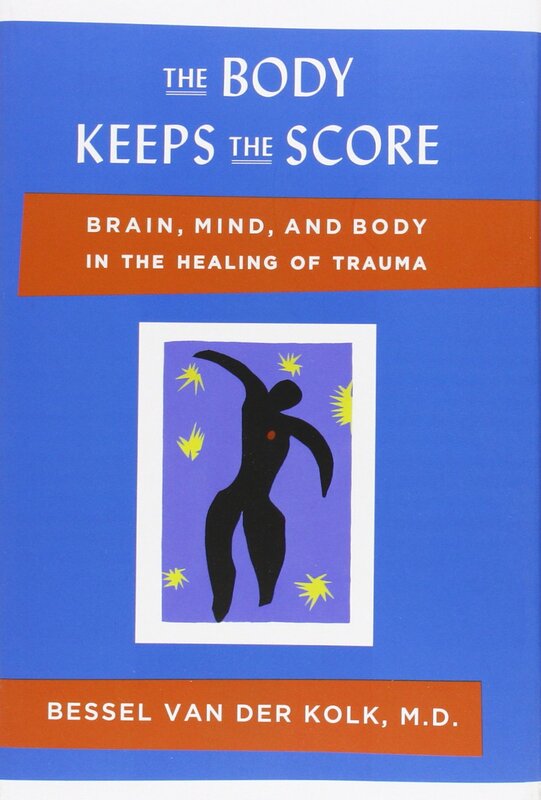 I picked up a copy of The Body Keeps the Score: Brain, Mind and Body in the Healing of Trauma, at the library the other day. It’s compulsively readable, despite the heavy numbers that explain why author, Dr Bessel Van Der Kolk, has had no shortage of traumatized people to work with during his career in traumatic stress counseling and research. One in five Americans has been molested, one in four grew up with an alcoholic, and one in three couples have engaged in physical violence. There’s a lot of pain out there, and it lodges in people’s bodies, changes their brains and their behaviour, and gets passed along from generation to generation. Radically, for many, the cure is not in medication or talk therapy but in reconnecting with their bodies – yoga, play, music, neurofeedback, mindfulness, or even a quirky treatment called Eye Movement Desensitisation and Reprocessing (EMDR), in which the “magic words” from the therapist appear to be, simply, “notice that,” while wiggling their finger back and forth in front of the patient. Right? That there? Notice that. Next Post Give good face, like it’s the only one you’ve got.